Sorry I was a total slacker on doing any cute Halloween posts. Somehow Thanksgiving seems to be here already and I figure I better post something before Christmas has arrived. 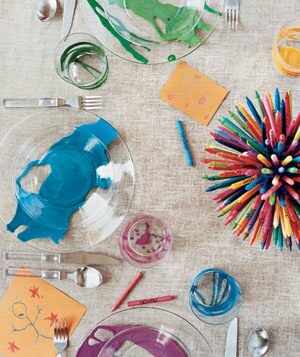 Saw this adorable (and so much fun) kids table in this months issue of Country Living. and then was lucky enough to find it on the web as well on it's creator's blog. 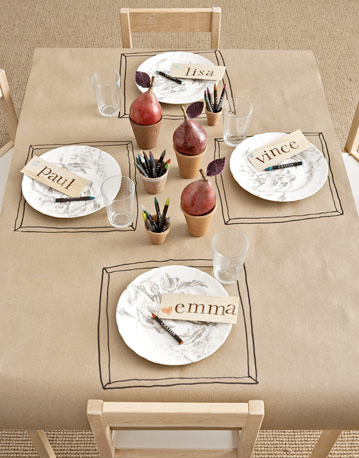 I say, do this at the adult table too!! 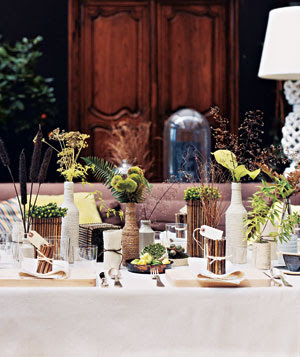 Real Simple's more sophisticated table-scape is right up my alley also. 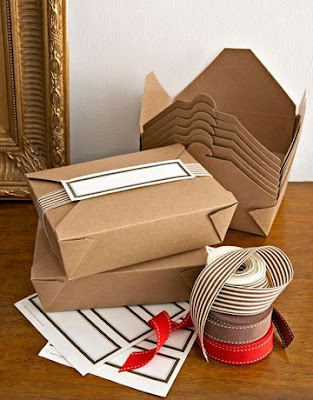 I also love the idea of sending cute "doggie bags" home with dinner guests (again from Country Living)! Wanna see some pics from my Halloween? Click here. Have some leftover Halloween candy? Save it for making Gingerbread creations! Want some inspiration for next year's Halloween? This was my favorite homemade costume idea I saw this year. I am the wife of a wonderful man. A mother of two adorable little boys and a gorgeous little baby girl! I consider motherhood to be my greatest accomplishment and joy. I love blogging, designing, photography, cooking, organizing, crafting... and am always trying to find more hours in the day for all of the above. This is a Flickr badge showing public photos and videos from MikaelaRae. Make your own badge here.